Thanks to the increased exposure of the web all over the world, more and more people are turning to the internet when it comes to making important decisions in their lives. Because of this, online reviews are becoming more and more relevant when it comes to searching what customers think about a certain product or service. Why people read online reviews? The answer is very simple, because they manage to obtain immediate access to these reviews and at the same time the opinions come from many past customers, which definitely makes reviews more relevant. More than 90% of online buyers are reading reviews for any product or service, which means that if your business wants to generate more sales, it definitely needs to have a lot of positive reviews online in order to get the attention of potential buyers. The #1 landing spot for your reviews is Google. Google likes to see reviews listed for businesses. In fact, many people in the SEO world believe having reviews helps with organic rankings. Google has never confirmed this, but the belief still exists. Businesses need to focus on getting customer reviews, with an emphasis on good reviews. Interestingly, online reviews have overcome social media advertising because customers manage to share their opinion after purchasing a product and at the same time share experiences that they had using the product. The best way to obtain positive reviews online is to provide the best possible products and customer service you can, as these are crucial elements when it comes to obtaining a better image online and one that you can be proud of. How can you generate positive online reviews for your business? You need to maintain professionalism at all times. Some people tend to write bad reviews in a bad way just because they want to toot their horn, or more alarming, they just are dissatisfied with your services. No matter what happens, the main idea here is that you should try and go the extra mile in order to satisfy these customers and thus you have to maintain professionalism when doing so. You need to remember that a bad first impression doesn’t necessarily mean that it will be the last, so focus on regaining the confidence of your customers. Try to make it easy for customers to leave a review. Add a Google, Yelp, or Trip Advisor direct link button on your website linking to your online profile. Print out a quick sheet detailing how to leave a review for each review site. Lastly, ask them to leave a review, most businesses don’t ask and they should. And while fake reviewers are always online, you need to stay away from these; instead you need to obtain these from your customers. Remember that fake reviews can easily be spotted, so it’s a good idea to leave let your customers place the reviews online for your business, as these will promote your business in a much more honest way. To sum up, online reviews have a massive importance and in many ways they can either make or break the image of a business. This is the main reason why a company has to try and always improve its service or product in such a way so that it will bring a stellar outcome. 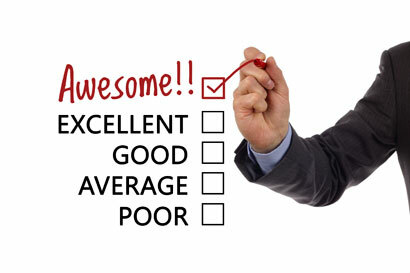 Generating a plethora of positive online reviews should be included in any marketing strategy. This task isn’t easy, but you will be well served to start today.